In this sculptural basketry class, we will explore structural design and plaited weaving techniques to create unique, large baskets. 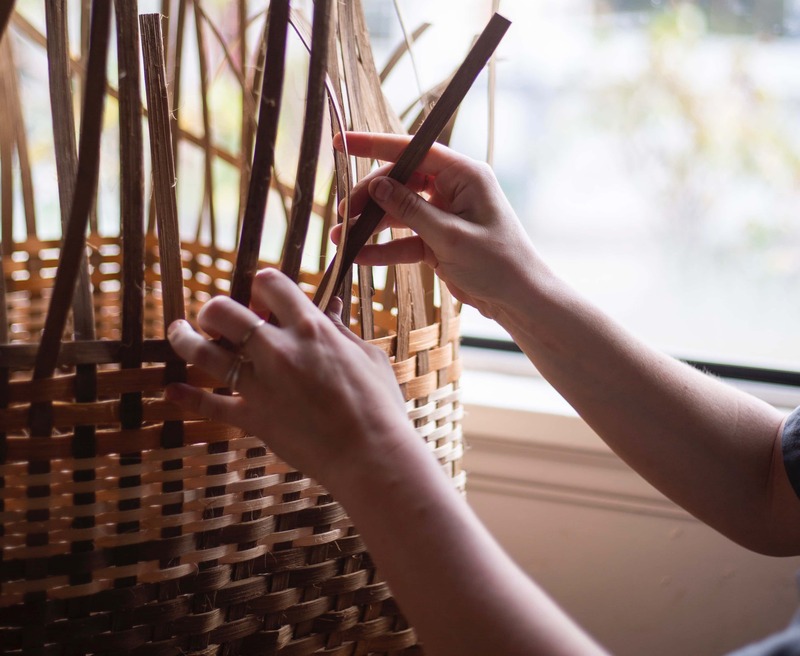 Students will have the opportunity to integrate both color and woven patterns into their basket using naturally dyed reed and multiple reed widths. Instruction will be focused on step by step methodology to plan and build woven structures that can function both as sculptural vessels, as well as functional containers, ideal for everyday uses. First-time weavers and intermediate weavers are both welcome.